I adore Tessa Dare and her stories. 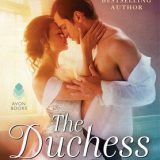 THE DUCHESS DEAL is the first in her new series Girl Meets Duke and holy smokes this was hot. 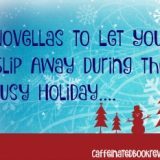 A damaged Duke, a Vicor’s daughter and a tale filled with snark, humor, heat and delicious page melting heat. Do You Want to Start a Scandal by Tessa Dare is the fifth novel in the Spindle Cove series and I absolutely adored our heroine Charlotte Highwood. Intrigue, passion and a swoon-worthy guarded rake can be found within the pages who could ask for anything more. Say Yes to the Marquess the second book in Tessa Dare’s Castle Ever After series was such a delicious romp. Take a strong, quirky, intelligent heroine and a ruthless prizefighter and notorious rake then, mix in a castle, meddlesome siblings and you have the makings of a brilliant tale that will make you laugh and swoon! 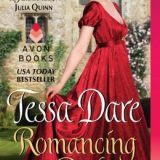 Romancing the Duke the first book in Tessa Dare’s new series Castles Ever After was such a fun romp. With colorful characters, a magical feel and its swoon-worthy troubled hero. I gobbled this up in a single evening. Izzy our heroine is a character that will forever be dear to me. Mini review: Delightful, romantic, hot and magical.